Your staff perform at their best when they feel good about their work and are empowered and engaged with their work and the aims of the organisation. Our employee surveys can help you measure, understand and monitor your staff satisfaction and employee engagement.The results of our research help you understand what your organisation is doing well and where it could improve. This helps you make changes that will have real impact on individual and organisational performance.Our research will help you understand what will engage, motivate and enable your people to give their best; and what they need you to do to improve the organisation.CJM Research provides tailored and insightful feedback that helps make the organisation better and offers you actionable insight. We provide a range of services that help you understand what your staff think of working for your organisation. 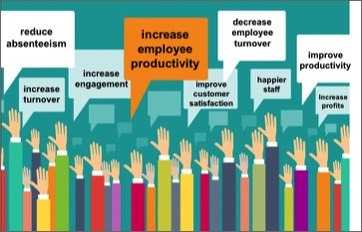 From workshops to employee engagement and satisfaction surveys we can help. Please get in touch with us and we can have a no obligation chat. We work closely with you to help you measure and understand what is important for your organisation ensuring that you have tailored but robust research. We can tailor every aspect of the survey process for you – from questionnaire design to reporting results and formulating action plans.